I didn't think I would be able to touch the 150+ books I read in 2014, and I was correct. But I did manage to read 113 books in 2015. Instead of publishing the entire list for you like I did last year, I decided to just pick my favorites. 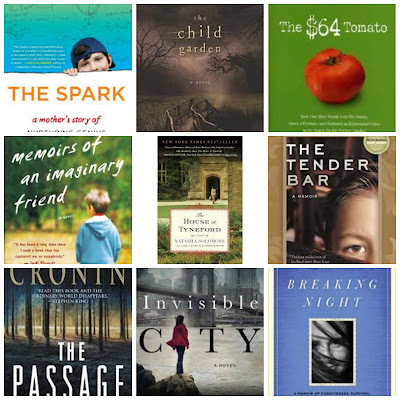 Of course, there are many that were excellent that didn't make the list, but these are the ones that stuck in my head long after the book was finished. The biggest difference in 2015 was that I read a lot more memoirs than usual. I typically only read a couple, but this year I read dozens. I also read a good bit of nonfiction reference and of course, fiction, too. I think my top three from the year would be The Spark, $64 Tomato, and The House at Tyneford. Three completely different books. The first two are nonfiction, but whereas The Spark is heartwarming and amazing, $64 Tomato is clever and hilarious. The House at Tyneford is a good one if you are a Downton Abbey fan. 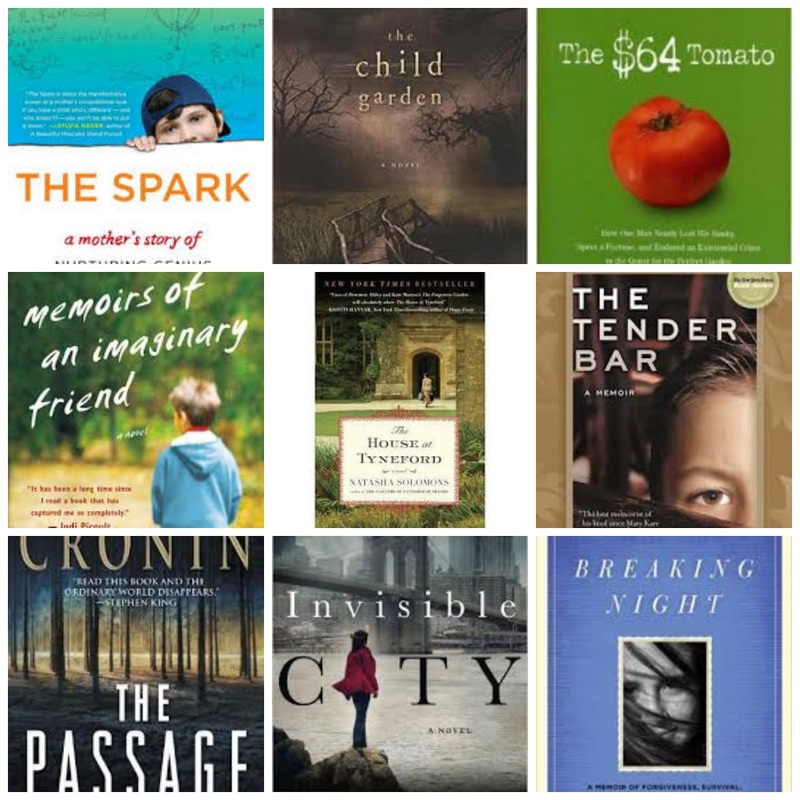 Readers, did you have a favorite book from 2015? Have you read any of the ones on my list? Hi Lisa, Thanks so much for sharing your top picks. Wishing you a very nice week. I have a few books on a list I want to read, but not 9. I should read more! The $64 Tomato sounds interesting!!! Even though not as many as 2014, you did read a lot. I can tell you, I read a lot also but the good news about being older, I can read one this year and forget the next year so I re-read a lot. Wish I had a dollar for all the books I've bought over the years; not so much now that I enjoy this new library as they seem to get new ones quite regularly. The $64 Tomato interests me! Interesting list, and I see a couple that grab my attention! I need to read more. I don't recall any one book touching me this year, but I have had many in the past. I like to make time each day to read--even if it is only a half hour or so. you did good! i just finished my first book of the year and onto my second...i'm keeping a list this year to keep track and to keep me reading! happy new year lisa! Honestly, nothing I read last year was that great. I didn't read as much as I typically do, though. I'm going to check out some of your favorites! Lisa, I confess I have not read any of those. My favorite book I read this year was "War after 1945" by Michael Carver. This sounds bad,, but mommy has not read - not even one book. She bought the book WILD,,, months ago,, and has not read. Mommy is in a hole,,, and no light,, so she cannot read,. I hope she gets out of the hole and helps me write a story.. for everyone to read. Good for you,,,, you truly are an inspiration! I haven't read any of these. :-( I read mostly the mysteries and thrillers I like. But I also read a lot of children's books, something new for me. I sure don't read as much as you do. I read a little bit every night. I've never tracked a year of reading. 113 books! Well done, you! that's impressive!